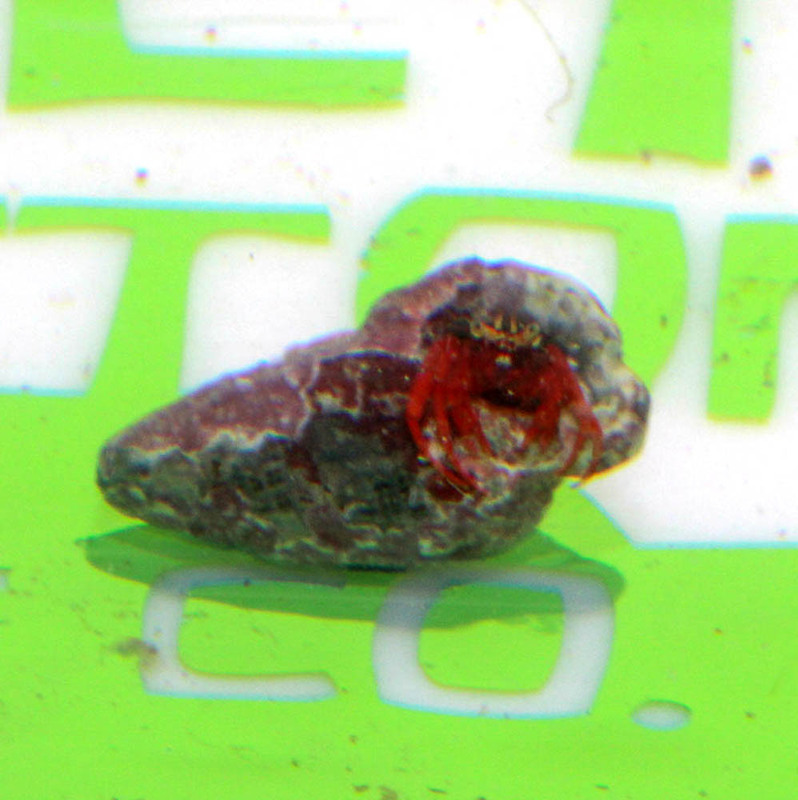 Approximate Purchase Size: About 1"
Notes: Compared to other Hermits, the Scarlet Reef is known to be genuinely reef safe. It's staple diet consists of all forms of algae, but will also take aquarium foods. A bit larger than it's blue leg and red leg cousins, but is extremely peaceful. Popular in many aquariums. Fast shipping, great communication and nice packaging. Beautiful red big scarlets. 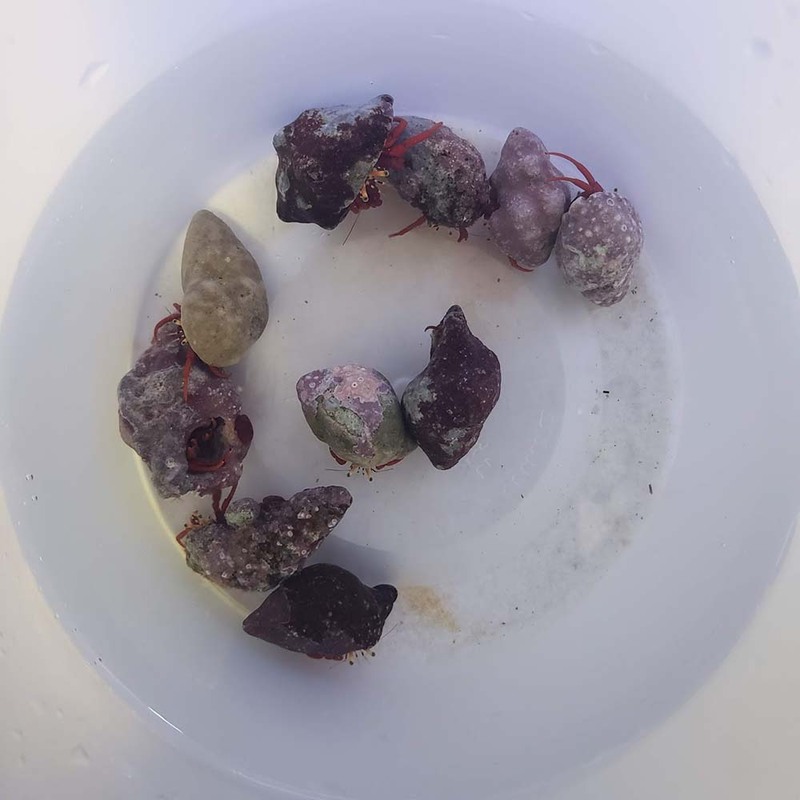 All arrived healthy, acclimated well and doing a great job cleaning my sandbed and rocks. Goodbye algae! Thanks Salty Reef! Ordered two of these guys. Scarlets have always been very peaceful hermits, IME. Both came in alive. However, one decided it didn't like the other. Yanked it right out of the shell, took the shell as it new home, then ran down the evicted party and killed it! I've been reefing for a long time, and I can honestly say, I've never seen that. However, do not mistake this as a bad review, it isn't. It's just nature.